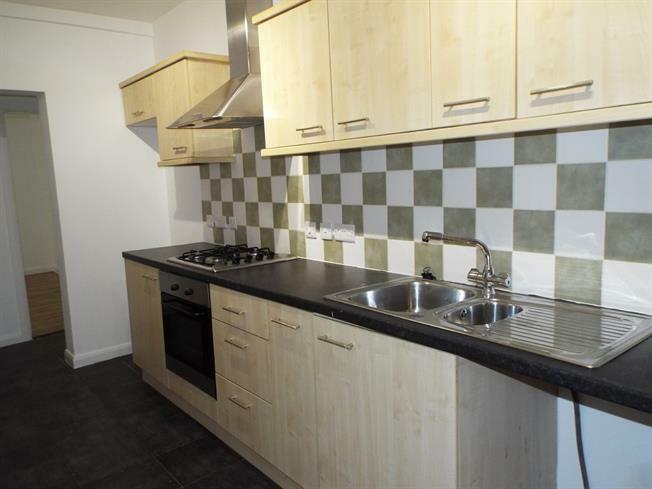 This property's price has dropped from £115,000 to Offers in excess of £110,000. This two bedroom apartment has been recently up dated through out and is located close to Torquay town centre. The accommodation comprises lounge, modern kitchen, and shower room, own outside space. The property benefits from double glazing, gas central heating to radiators. Outside there is a courtyard style garden. Garage and parking. This property is being sold with no chain. Fitted with a range of wall and base units with roll edge work surface, inset one and a half stainless steel sink and drainer with mixer tap. Integrated electric oven and gas hob with extractor above. Plumbing and space for washing machine. Space for fridge freezer. Tiled flooring. Part tiled walls. Electric shower in curved shower cubicle, low level WC. Wash hand basin. Heated towel rail, tiled floor. Private paved patio area. Garage with up and over door. Parking space in front.